Out the bag and the colour (Peace on Blue) is stunning, the straps are a dark rich teal blue, and the body panel and hood are striped with light blue’s and greens. We took this meh dai for a test at our favourite haunt (the river). My girl is 3 years old now, wearing size 4 pants and 15kg. I am also 6 months pregnant, so this was definitely put through its paces! The soul tai is designed to be used from 7kg – 18kg. 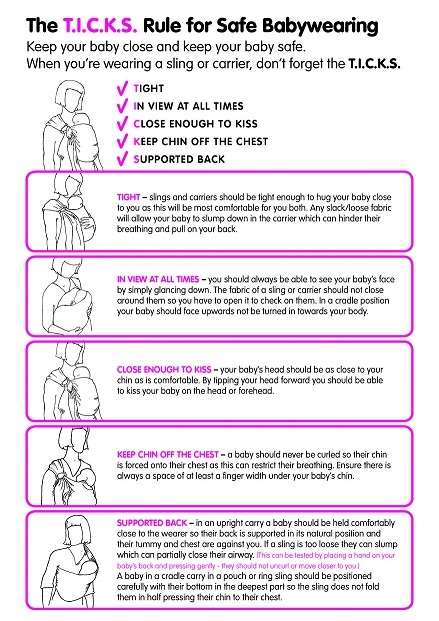 Often I find carriers become uncomfortable well before the child I’m wearing reaches the upper weight limit guidelines. So I was pleasantly surprised at how comfortable this met tai was. The feature that I loved the most about this meh dai? The hybrid padded wrap straps. There is ample padding on the shoulder straps which make back carriers comfortable on the shoulders. The fabric also pleats out from under the fabric and can be spread across the shoulders and back making for a comfortable front carry. The wide straps when spread out also give great support across the child’s bottom and legs to help with weight distribution – being able to support a 3 year olds legs is important! This was easily manageable and do-able, and I’m sure was a big contributor to why this was such a comfortable carry for us. The straps are also a fantastic length! 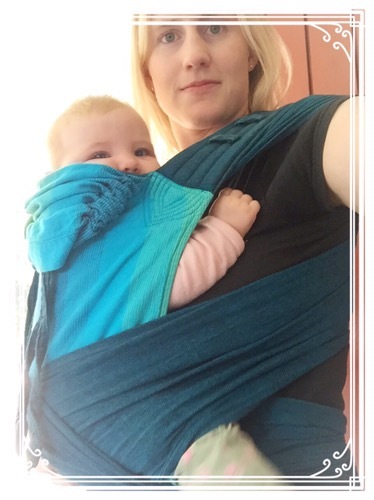 This carrier is suitable for both petite and large wearers. The tie-waist band has ample length, it was a bit swooshy on my legs so I had it tied off to the side and it wrapped around my belly in a lovely way. The sh oulder straps are super long, I have always preferred a tibetan tie and there was plenty of strap to do that (and probably other fancy ties!) The straps have slightly curved triangle tapers on the ends which make a nice finish. The soul tai has a hood too – and it’s actually big enough to be useful! I didn’t manage to get a picture with it up, but it was big enough to cover right up over my girls head when she wanted to snuggle on my front in the wind. 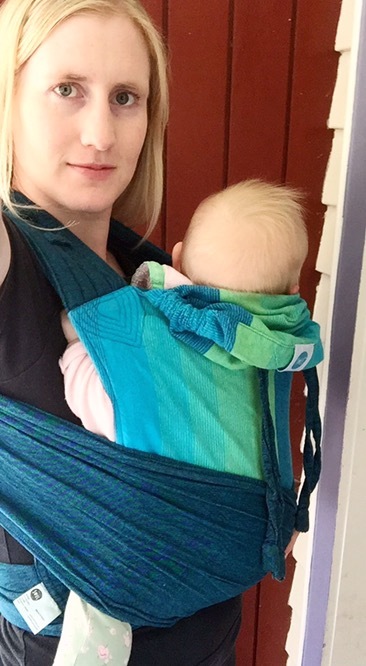 The hood can be cinched along the hood straps to make it smaller for smaller children/babies and can be used as both a sun and sleep hood (and would also be useful for discreet nursing). The back panel length is also great! It still comes up above my girl’s armpits which means I was able to get it tied on nice and tight. For a smaller baby it would be suitable to roll the waist or tie on apron style. Made with lightweight 100% woven cotton this would be a great warmer weather meh dai. The woven fabric was easy to wrap on and moulded to our bodies easily, and would be suitable for someone new to meh dai. This has quickly and easily made its way onto my list of favourites! I will be happy to recommend this to people at our sling meets and may need to add one to my own personal collection! I am also pleased to research and discover that Soul slings supports local artisan weavers in India and are made individually, rather than mass produced in large scale factories. Giving this a go with my youngest! She’s 6 months now and just under 8kg. This is a big meh dai, and with a min weight of 7kg is suitable from around 4 months. At 6 months I’ve needed to roll the waist a few times to shorten the panel so that the top of the panel doesn’t come above my babe’s ears – we tried without rolling and it just about covered her whole head! Find out more about Soul Slings by clicking on their logo. To purchase your very own soul slings mei tai you’ll need to pre-order one through http://www.woven.co.nz or click on the Woven logo below. 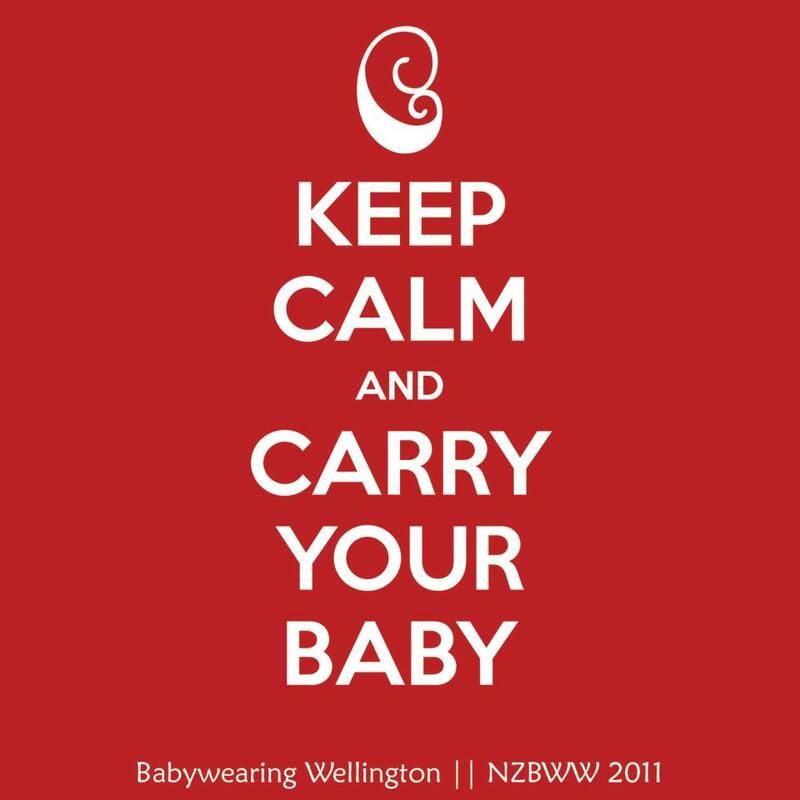 Tags: babywearing, Babywearing Wellington, meitai, review, slinglibrary, soultai, toddlerwearing, woven. Bookmark the permalink.